The PhD call @IMT is now open! Please visit our website and apply! Welcome! This is the webpage of the 2nd Workshop on Statistical Physics for Financial and Economic Networks! WHAT OUR WORKSHOP IS ABOUT? Financial institutions are the nodes of a multiplex whose layers represent the various market instruments through which they are connected. However, the relationship between the fragility of a financial system and the pattern of its interconnections has become particularly evident only after the recent financial crisis. Direct exposures through bilateral contracts and indirect exposures due to common assets holdings are just the simplest examples of how interdependencies can arise: financial distress can propagate across institutions through the channels created by these exposures and spread over the market, leading to amplification effects like default cascades. In fact, while enlarging the number of connections ensures diversification, thus reducing the individual risk, it also fosters interconnectedness, potentially increasing the systemic risk. 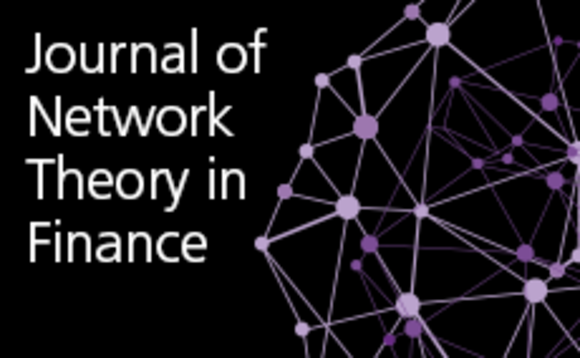 The network-based approach turns out to be a particularly powerful tool to deal with these issues, allowing, e.g., to track the reverberation of a credit event or a liquidity squeeze throughout the financial system, define novel measures of potential capital losses and domino effects, identify the most vulnerable institutions, etc. This satellite aims at bringing together scholars active in the field of financial networks analysis to discuss the state-of-the-art of research, identify the most relevant and urgent problems and, possibly, create the occasion for new collaborations. The workshop organizers are: Paolo Barucca, Guido Caldarelli, Giulio Cimini, Yerali Gandica, Tiziano Squartini. Please contact us for any question!